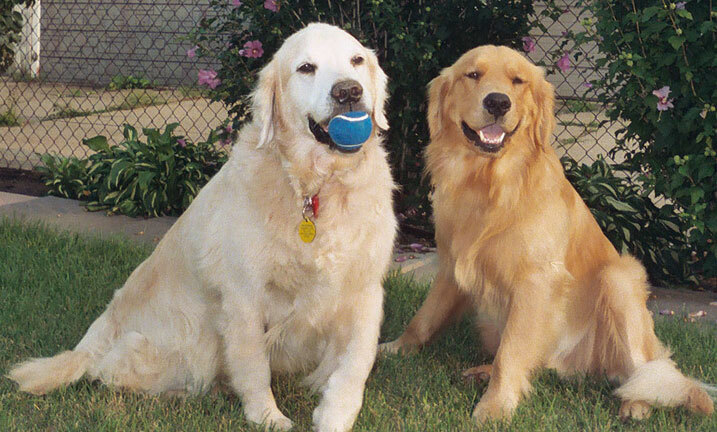 This article has been reproduced through the permission of Sylvia Donahey, editor of the Golden Retriever Club of America's magazine, GRNews. More about Stormy from Cathy Casper . . .
From the minute Stormy came home, it was obvious he was different. I wasn't quite sure how, but he just was not like all my other Goldens. Later I learned, his differences were in his uncanny sixth sense, in his ability to know what people need and be able to give it to them. And, in his ability to understand whatever you say to him and respond to it. Growing up, he did not like all the things Goldens usually like. Stormy's really not a water dog, though he will go in. He's never touched a tennis ball for more than a second, but instead has a stuffed rabbit he carries everywhere. I lovingly refer to him as my wimp. After he came home from being with Maddy in Michigan, he clearly wasn't the same. I believe he knew what was happening and was forever affected by it. But still he lives for his outings, to the school, to the nursing homes or anywhere where he's going to be able to make a new friend. Stormy is my hero, my daughter and I were just the vehicle to get him to Maddy in Michigan. Had he been able to drive himself, he would have. It is difficult to even put into words how much I love this dog and how extremely proud of him I am. Most people only have one heart dog in their lives. I have been lucky enough to have two. Stormy is slowing down now and that only makes me think of four or five years from now and eventually losing this wonderful guy. When that happens my life will never be the same. But I have learned so many lessons from this guy, and I am sure he still has a lot left to show and teach me. I also wanted to mention two things. When all this came to light and I was trying to get therapy dogs to see Maddy in Chicago, the first thing I did was call the manager of the American Girl Store (Scott) and told him the story. He went out of his way to take packages to the hotel that they were staying at, and to tell the employees at the hotel what was happening. When Maddy and her family pulled up, they literally rolled out the red carpet for them. 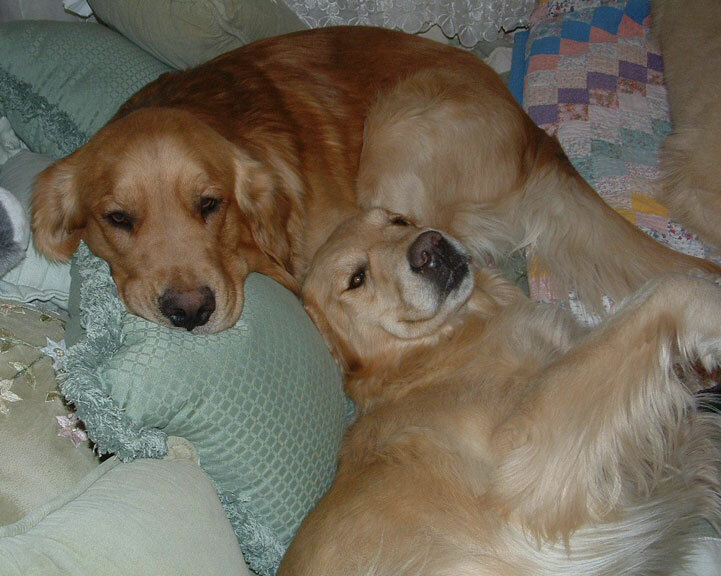 He has never gotten any credit because of course the story is about the Goldens, but I wanted to mention that he went out of his way to help her have a wonderful time. Also, people have said how nice it was for me to do this. But, I was just trying to fill a little girl's need. I am not the special one in this story. All the people that helped out at a moment's notice are. They are my heroes and they made it all come together. More about Stormy from Kelly Marsh Casper . 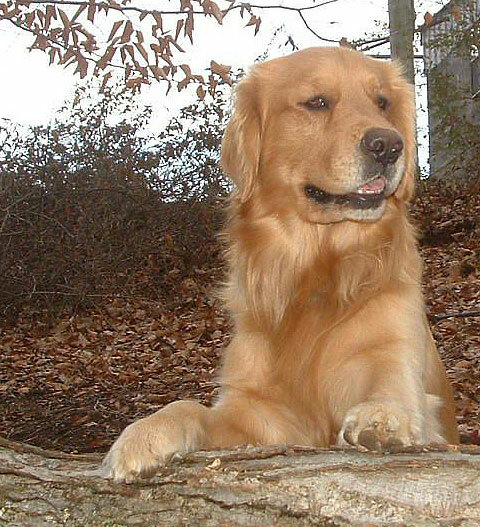 . .
Stormy is an intelligent and loving Golden Retriever who will be six this summer. Originally, his owner, Cathy Casper, intended on showing the handsome dog. But fate had another plan. Stormy grew to be outside standard, becoming a gentle giant – a trait that would serve him well when he left the show ring. In addition, Stormy, when showing, would often find a point on the ceiling while in the ring, to which he would crane his head and become fixated – almost as if there were a fly on the ceiling that no one else could see. So Stormy left the show ring, and found his calling that has brought joy and comfort to many. Upon leaving the ring, Stormy found a family of children and strangers that all know his name and who light up the moment they see him coming. Stormy’s career started locally near his home when obtained his TDI certification. Then Cathy began taking him to schools for the READ Program. The Program encourages children to read, and assists children who may have difficulty reading aloud. At the schools, the children will read to Stormy, who will listen as intently as he stared at the ceiling in the show ring. Occasionally, Stormy will put his nose to Cathy’s ear, as if he’s whispering a secret to her. For example, if a child is reading a story and says the word “gorilla,” it’s at that moment he will raise his nose to Cathy’s ear. Cathy will tell the children “Guess what Stormy just said?” and the children excitedly ask “What! ?” Cathy will say “Stormy says he’s a gorilla!” The children laugh, and say “No, Stormy, you’re a dog!” Stormy’s timing for “whispering” comments to Cathy is spontaneous, but almost always at the perfect time. If a child is self-conscious about reading aloud, Stormy will sit and appear to intently listen to the child with his kind brown eyes, showing no judgment if a word is mispronounced, or a sentence stumbled over. When Stormy arrives at the schools, Cathy hears excitement of the children and their voices clamoring to say “hi” to Stormy as he walks by. As a therapy dog, Stormy demonstrates a calm demeanor and apparent ability to recognize illness or weakness of those he visits. This gentle giant will calmly maneuver himself as close as he can to the person he is visiting so that they can rest a hand on him if they wish, or just take comfort in his presence. 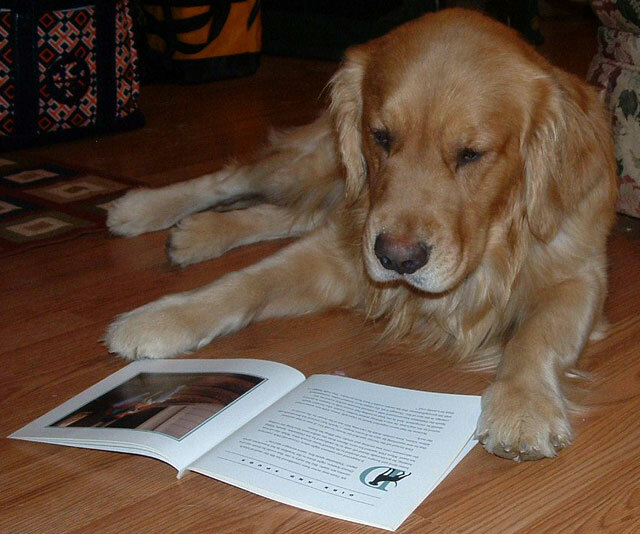 When not working as a therapy dog or visiting schools for the READ Program, Stormy spends his time exploring the property around his home and playing with Cathy’s three other Golden Retrievers, Dreamer, Skylar, and London. Whether he is at home or working, it just takes one look at Stormy to see the love he holds in his heart that he is always willing to give.